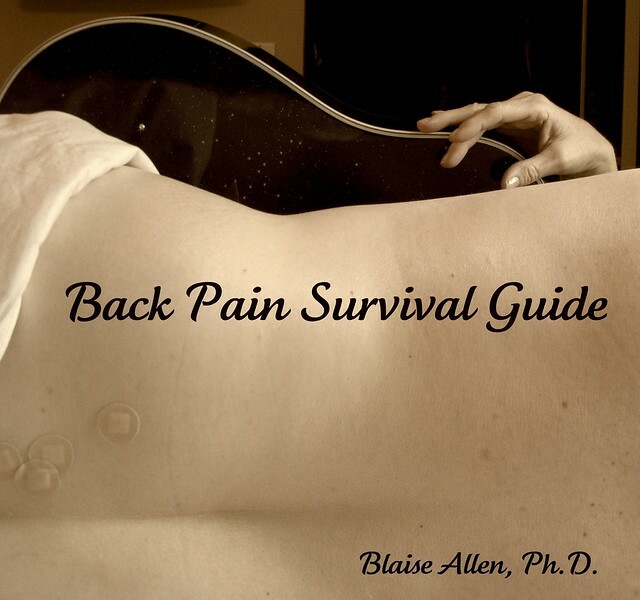 Back Pain Survival Guide: Vol. I | The insider's guide to better manage chronic back pain: For patients, caregivers, and healthcare providers. The insider's guide to better manage chronic back pain: For patients, caregivers, and healthcare providers. Excerpted from the Introduction to my forthcoming book, Back Pain Survival Guide: Vol.1. Everyone knows someone who suffers from back pain, or you may be plagued by back pain. The American Pain Foundation reports that low back pain strikes eight out of ten adults at some point in their lives. The National Institutes of Health report that 100 million Americans suffer from chronic back pain and it is considered an epidemic in the United States. This book provides a holistic, first-hand account of the particular struggles and triumphs in the life of a person living with chronic back pain, and includes practical suggestions on how to manage your pain and suffer less. Throughout this book I will share with you information I wish I had known about diagnosing and treating back pain when I first started having problems with my back. This book will provide you with a comprehensive guide to the medical, integrative, and complementary treatments that I utilized to heal and reclaim my life.